Remember taking an aptitude class in high school? You’d sit at your desk — or maybe at a computer, for you millennials — and answer a series of questions designed to reveal the careers that would be perfect for you. Do you like working with your hands? Consider plumbing. Is biology your favourite subject? You should become a doctor. Did your answers reveal a lot of empathy? You’d make an excellent therapist. Maybe too simple. But there’s a reason why aptitude tests are still being used today. The right blend of personal characteristics can make someone better suited to one career path than another — including real estate. 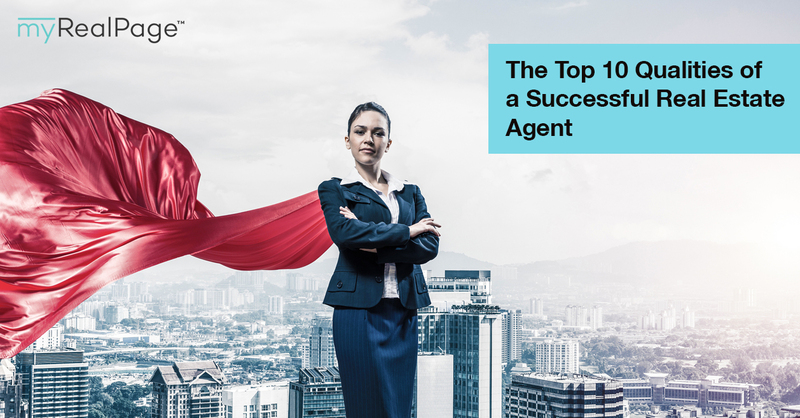 In this post, we’re exploring the 10 qualities of successful real estate agents. These are the traits possessed by every top realtor we know. Thinking about becoming a real estate agent in 2018? Or maybe you’re already a realtor, and personal growth and development are on your list of goals this year? Keep reading to find out which successful realtor traits you’ve got, and which ones you can cultivate. Real estate agents are entrepreneurs: they’re responsible for their own success. There’s no clock to punch every day, and no manager watching over to make sure work is getting done. Self-discipline is essential to a realtor’s success. Real estate agents need to be excellent at managing their time, prioritizing tasks, multitasking, and completing the things they don’t want to complete (like boring paperwork, for instance). They need to know the keys to real estate productivity. 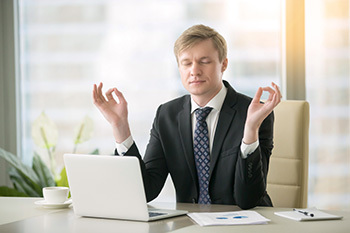 For someone transitioning from a “normal” 9-to-5 job to a career in real estate, maintaining self-discipline is often the hardest part. Real estate isn’t really about houses. It’s about people. Sure, you need to know about property and market conditions and mortgages. But to succeed, you really need to know about people, and how to read them. That’s where emotional intelligence comes in. If you have well-developed emotional intelligence, you’re excellent at reading the emotions of others and accurately identifying them, then using that information to adjust your own thinking and behaviours. In real estate, that could mean recognizing that a seller who is waffling on accepting an offer is not greedy for more money, but worried about regretting their decision to sell. A realtor who is able to identify that can respond with an empathetic approach, rather than a pushy one, which could ultimately result in a sale. A realtor is a trusted guide in the buying and selling process. Clients look to their realtor for leadership and expert advice on how to approach their decision. To maintain that trust, and to position oneself as an authority, realtors need to trust their gut and be confident in the decisions they make and recommend. The most successful realtors don’t hum and haw over whether a call is the right one: they’re decisive. Excellent decision-making can only come with experience, so it’s perfectly normal for new real estate agents to feel unsure when it comes to big choices. 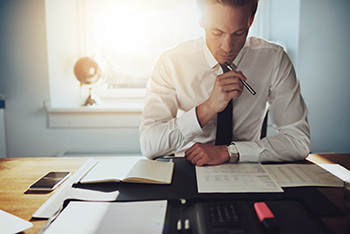 Until that decisiveness is developed, it’s key for new agents to form decisions with as much research and information as possible, and to handle their unsurety privately. Don’t let the client see you sweat! What gets you up in the morning? What inspires you to keep working at 11 p.m. when you’ve got the flu, or when your client is making things super difficult for you? Ambition, baby! You want results. Ambition doesn’t have to mean Wolf of Wall Street-esque aspirations — AKA, success at any cost. But in order to like your job as a realtor and to do well at it, you’ll need some hunger for success. If you’re not naturally someone who fantasizes about results and glory, goal-setting can help fire up your ambition. Creating specific goals is one of the habits of highly successful realtors, after all. Being ambitious doesn’t mean being cocky. 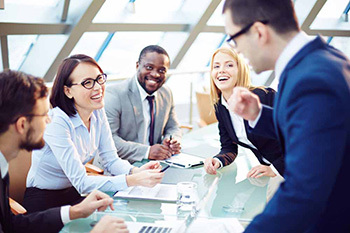 Success is often equated with arrogance, and there are definitely some successful, arrogant real estate agents in the industry, but the best agents – the ones with longevity – are actually quite humble. That’s because it’s confidence, not an inflated ego, that attracts clients time and time again. Great real estate agents believe in their skills, but they’re also modest about it. They know there’s always room to grow, they don’t brag about their rate of success, and they don’t consider themselves to be bigger and better than anyone else. If you want to be a successful realtor, check your ego at the door. You gotta roll with the punches in real estate. Offers fall through, clients bail, the market changes, and paperwork comes through at midnight. Real estate is not a 9-to-5 job, and the conditions of the industry are always changing. If you require absolute stability to do your job well, real estate probably isn’t the best job for you. You need to learn to be adaptable if you want to rise to the top in real estate. Adaptability and unflappability go hand-in-hand. You can be flexible, but do you thrive under pressure? Can you maintain composure when an unhappy client is yelling at you? Are you able to deliver bad news with professionalism and grace? Reading the emotions of others is essential, but so is not letting your own emotions get in the way of professionalism. That’s something top realtors never do. Remember what we said earlier, about real estate agents being responsible for their own success? Part of that is being proactive. Here’s what it looks like in real estate. Not waiting for business to come to you. Go get it! That’s where a great real estate marketing plan comes in. Taking care of issues behind-the-scenes. When a problem arises, like a leaky tap or a bad offer, do proactive damage control before your client finds out. That’s how a realtor puts clients first. Staying one step ahead. Don’t wait until the deal is done to come up with a great real estate client thank-you gift. Take notes about your client during the process, so you can come up with a super personal token that guarantees you a glowing testimonial. Not every top agent fits the stereotype of a people-pleasing, wheeling-and-dealing salesperson. But nearly all top-ranked real estate agents do have some charisma. It’s a necessity in this biz. Being charismatic means that people want to be around you. You’re friendly, you make people feel comfortable, and you have a knack for building relationships. Sounds like a recipe for getting clients, doesn’t it? Not everyone is naturally charismatic. If this applies to you and you are (or want to become) a real estate agent, there are things you can do to bring out your natural charisma. Join a Toastmasters group. This organization, with chapters all over the world, offers a supportive environment where people from all backgrounds learn to become confident public speakers. Try an improv class. Improv comedy requires letting your guard down, and getting comfortable, quickly, with fellow participants. Both are elements of being charismatic. Practice at parties. Next time you’re at an event, make it your goal to have conversations with at least three people you don’t know. The best way to develop social confidence and extrovertedness is to fake it until you make it. From fun realtor marketing to hosting successful open houses to problem-solving tough issues, real estate is an industry that rewards creativity. We said rewards, not requires. 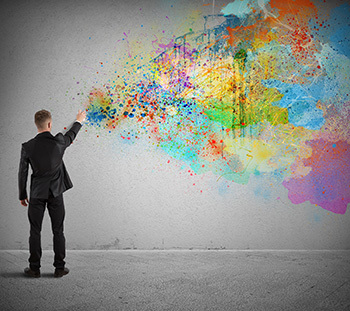 Yes, you can follow the well-beaten path of real estate, doing things traditionally, and have some success, but it will take true creativity and out-of-the-box thinking to become a successful realtor who stands apart from the crowd. What other qualities would you add to this list? Tell us in the comments. I appreciate you saying that real estate job is not a 9 to 5 job and that conditions related to it are ever changing so the person has to make sure that they hire an adaptable agent to help them out. This is probably right because my friend once bought a house, and he once called an agent in the middle of the night. I’m curious as to how the agent reacted, but now I guess it’s normal for them. I will see to it that I hire a similarly patient and adaptable agent once I buy my own house. Thanks. I appreciate it when you said that successful agents do not let their emotions get in the way of their professionalism and that they should be able to maintain their composure even when a client is yelling. Of course, I would never do that, but I really do want a realtor that is composed. After all, I am a new home buyer, and I know nothing about the process. If the realtor I will hire panics more than I do, then what will become of us? I really like what you said about how great real estate agents can easily adapt to the changes in the transaction and rise up to whatever challenges that the market may pose. If I were looking to sell my house, and the buyer decides to throw everything we have agreed upon out of the window, I will definitely need an agent that can draw up a strategy that will help us retain said buyer without losing much. This is a really insightful piece about the real estate industry. Anyone can try their hand at selling homes, but success requires a little bit of talent and a lot of hard work. These traits can be learned and fostered. Real estate agents with all these qualities can anticipate challenges that newer agents may not know how to prepare for. In this business, things can get tough. It’s a competitive industry, so agents have to be ambitious and driven to succeed. They dig deep to push past encountered obstacles and get things done. Thank you for sharing such information.